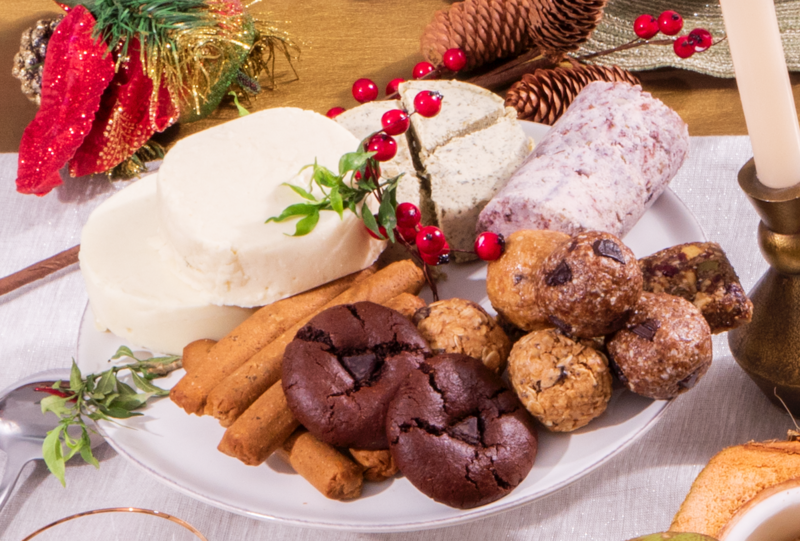 Lighter food choices can still make an impressive holiday feast. 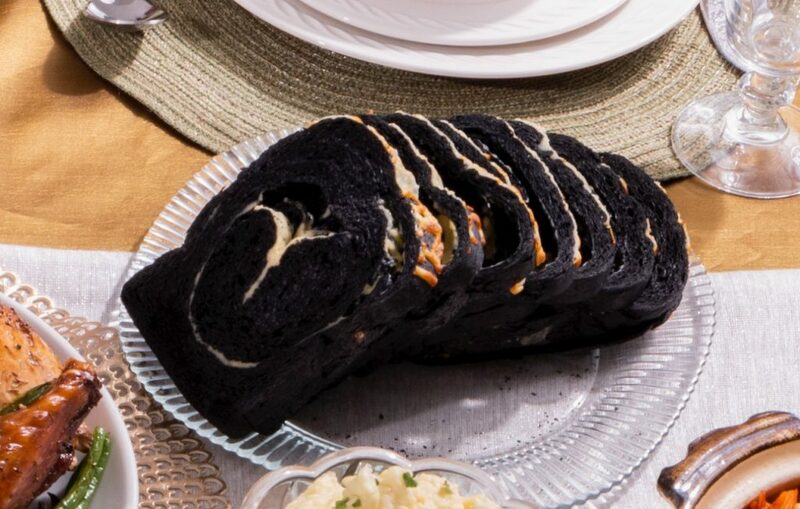 The secret is finding alternative versions of classics at the Christmas table that don’t sacrifice taste and texture for better nutritional content. We’ve discovered kitchens that fused creativity and fun experiments to make new and tasty translations of old favorites that bring together loved ones, friends and memories. 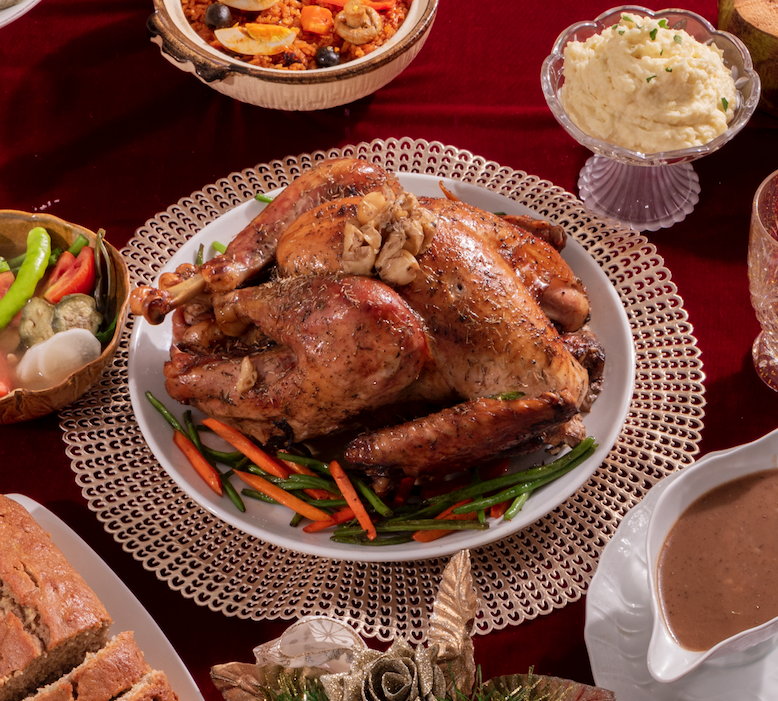 Instead of the incredibly fattening lechon, serve up some roast turkey: it’s leaner and higher in protein. You can use its leftovers for pretty much any dish, too, so no more slaving away at your lechong paksiw for weeks. Pancit and its multitude of variations is a classic fixture of any Filipino feast. This version of pancit switches things up by using buko noodles instead of the usual noodles made out of flour, rice, or egg, making it healthier than usual. 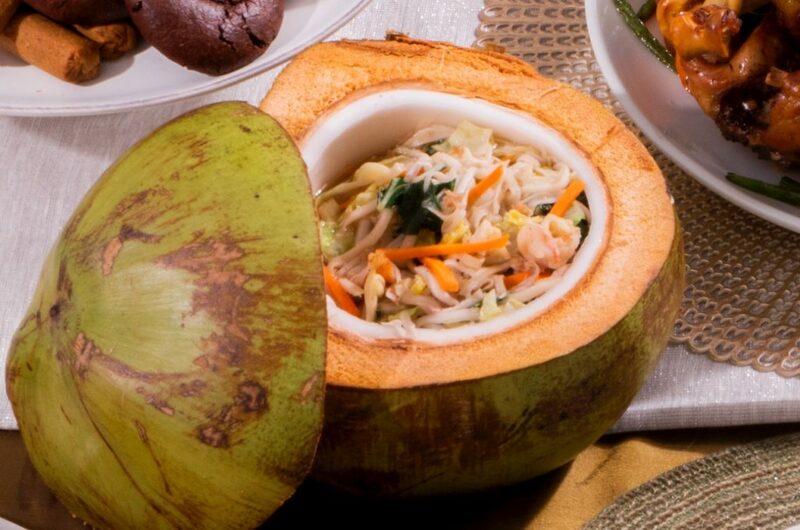 It’s served in an actual buko husk, too. Paella, otherwise known as everyone’s favorite rice dish, is a staple of any culture influenced by Spain. 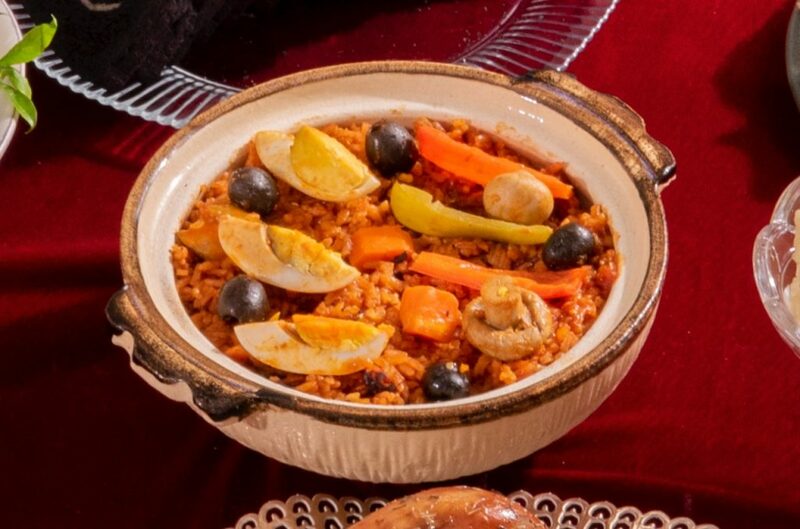 Get the Paella Verdura variant—it’s still a hearty dish, but it switches out all that meat with vegetables and egg so you don’t have to risk your actual heart to eat it. 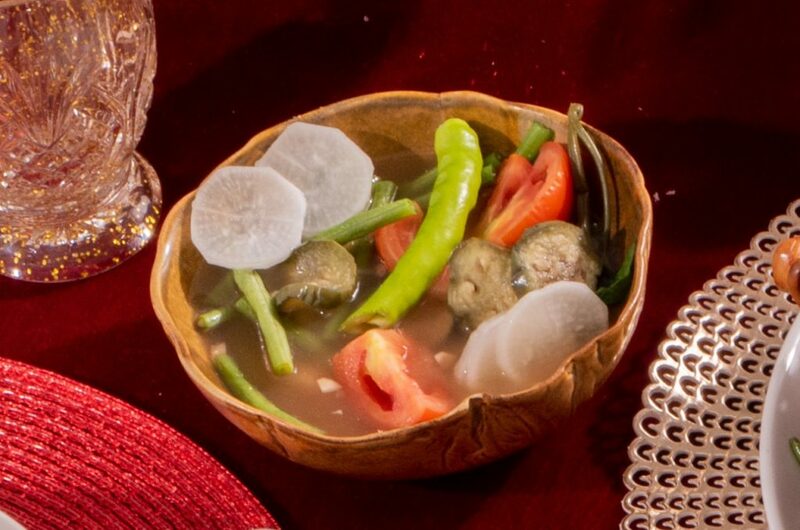 Sinigang is a traditional sour stew that’s cooked with either pork or bangus and a plethora of vegetables like okra, miso, kangkong, and tamarind, which is where the sourness comes from. This vegan version eschews meat and includes a serving of vegetarian patis. It’s gluten-free, too. Kakanin like bibingka may be Christmas favorites, but they’re still pretty hefty. 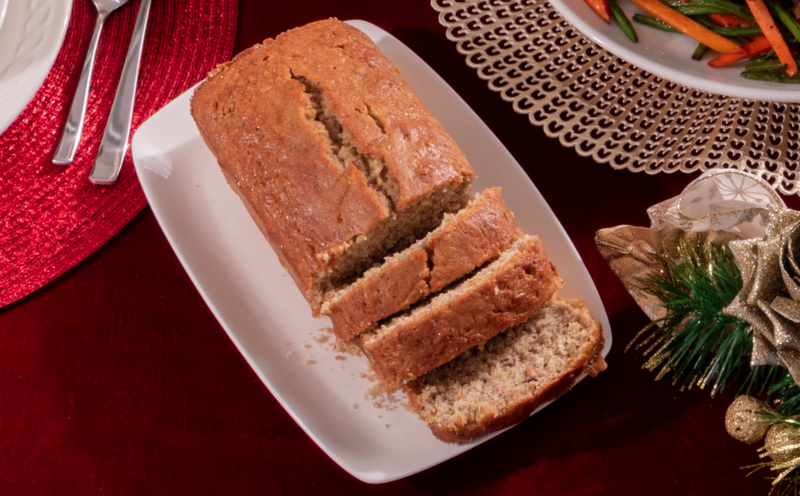 Switch it out this year with this whole wheat bread made of sayote—which tastes a bit like a mix of carrot cake and banana bread—or the gluten- and sugar-free charcoal bread. We know that the rich edam cheese paired with the pineapple-glazed ham is a favorite of many, but this pairing isn’t all that inclusive. 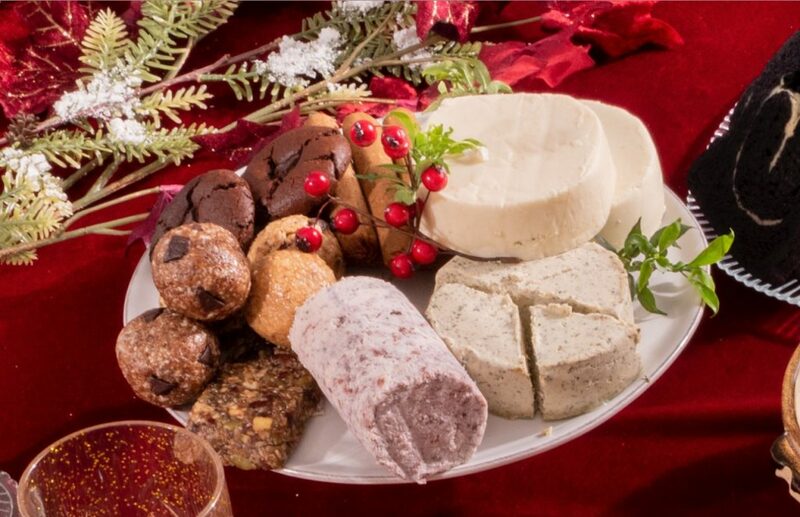 Fix up this cheese and sausage platter instead: they’re both vegan (all the cheeses are dairy-free and made from either tofu, cashew, or soy, while the sausages are made of plant-based seitan), making them great meatless, vegan-friendly options to munch on. Instead of the festive meatloaf, try the chicken galantina (otherwise known as relyenong manok). Embutido uses a mix of pork and beef, but this dish uses chicken, making it lighter. Desserts are always everyone’s diet killer. Not these though. These all-vegan bars and cookie balls contain grains, dark chocolate, chia seeds, and natural nut butter, and are low in sugar without sacrificing any sweetness. They’re also gluten-free since they’re made without flour.